Mesenteric vascular disease encompasses a wide range of disparate pathologies. Acute and chronic mesenteric ischemia are the most common of these arising as sequelae of mesenteric atherosclerosis in the latter and either atherosclerosis or embolism in the former. Other manifestations of mesenteric vascular disease are rare, with data often limited to small case series. 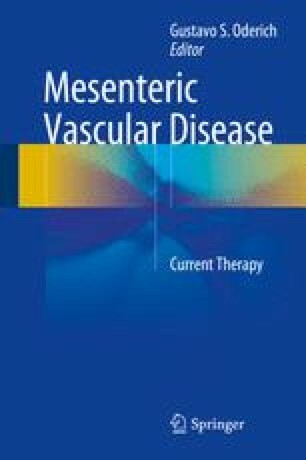 This chapter aims to present the currently published data on the epidemiology and natural history of chronic and acute mesenteric ischemia, median arcuate ligament syndrome, isolated mesenteric artery dissection, and mesenteric aneurysms. Across entities, the increased use and sophistication of abdominal imaging modalities have contributed to increased detection despite advances in medical management, including statin therapy, that have likely decreased true incidence. Similarly, the introduction of endovascular approaches to these pathologies frequently lowers the threshold for intervention with a resulting increase in overall treatment. The natural history of these entities is then critical as we evaluate the impact of improved detection and an evolving treatment paradigm.